Meet Laura and Dana Putnam, a DIY maven and a former corporate all-star, a couple in love with all things “home.” Laura started Finding Home as a blog space dedicated to sharing ideas on home inspirations, DIY projects, and other information to help her readers create comfortable living spaces. Dana is a fourth generation sugar maker and wanted to leave his desk job to carry on the family tradition of creating delicious maple products. 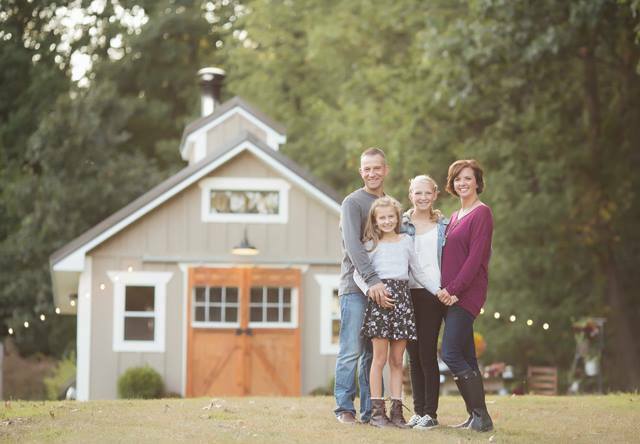 Together, the Putnam’s have built a business on the foundation of family and home. Taking inspiration from Laura’s grandfather and his love of cardinals, and the story of Noah’s dove, our logo is a representation of the spirit behind Finding Home Farms – the spirit of family, warmth, and creating a space where those things come to life. Lavender Evergreen Soy Candle – 7.5 oz. Lemon Verbena Soy Candle – 7.5 oz. Mint Evergreen Soy Candle – 7.5 oz. Nutmeg Soy Candle – 7.5 oz. Rosemary Mint Soy Candle – 7.5 oz. Summer Citrus Soy Candle- 7.5 oz.